Keeping the environment clean and free from pollution is our right as inhabitants of Earth. One way we can contribute is by using environment-friendly products in our daily life. After all, the Earth is our home and we need to protect it from harm. The major factor harming our environment are harmful gases. These gases are released from various places such as factories, ships, animals and vehicles. While we cannot do much to influence large corporations and industries, we can do our bit by keeping our vehicles emission free. As such emission tests or smog tests have been designed by governments all over the world keeping in view the health of the environment. But what does a smog test include? Let’s find out. 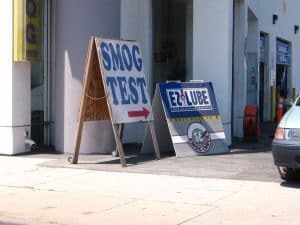 What Does A Smog Test Entail? A smog test determines the number of harmful emissions your car is throwing out into the air. Every engine gives off emissions, but you can control how much of it leaks into the environment. Scientists and engineers, to this effect, have made some advancements in technology to minimize emissions. One such technology is the catalytic converter. This small engine component filters the exhaust gases from a vehicle and makes them less harmful before they are released into the air. There are other ways to reduce emissions but we will get back to that later. For now, let us focus on what happens during a smog test. In the earlier days, smog tests were pretty complicated. You had to take your vehicle to a facility where it was put on the dynamo and the testing equipment was attached to the car’s tailpipe. Modern solutions have since arrived and now all that technicians do is connect your car to an OBD II scanner and extract all the relevant information. Other than that, a visual inspection is also carried out. This depends on which country you live in. In some countries, you are not forced to make a smog test for your vehicle. Every vehicle has a particular rating. This rating is provided by the government and your vehicle has to meet it every few years. If you fail to meet the requirements there could be consequences. How to Pass an Emissions Test easier? The Check Engine light shows that there is something wrong with your car and that it is not performing efficiently. If your car has the Check Engine Light illuminated in the dash you are going to fail the test for sure. Get a proper diagnosis of your car before you go to get the test to improve your chances. One reason why the Check Engine light comes on is a failure of the oxygen sensor. The oxygen sensor measures the quality of the exhaust gases leaving your vehicle. It needs to be in perfect working condition to help you pass the smog test. An oxygen sensor is a cheap part and can be changed for $170. A small price to pay considering the magnitude of the fine you would have to pay. Driving your car at high speeds will heat up the catalytic converter, as such, it will burn off all the residue fuel and oil in the exhaust system. Do this exercise at least two to three weeks before you take the test. And also try to drive fast on your way to the testing center to completely rid the cat converter of residues. The worst thing you could do is drive slow and clog up the cat converter. Check the last time you changed the oil. If your refill date is nearby, get your oil changed. It is important that you go for the smog test with fresh oil in your engine. Used up and spoilt engine oil would create extra harmful gases that could cause you to fail the test. Try not to be overdue on your oil changes and always buy a top-grade oil filter. 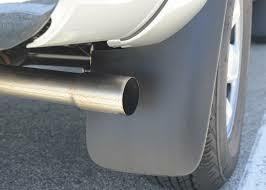 Tune your vehicle two weeks before the emissions test. Do not tune it near the test date as after a tune, the ECU resets and it is not able to perform the proper diagnostics needed to make the proper recommendation. Your car needs to be properly hydrated to maintain high speeds. If you are being tested on a dynamo, chances are that your car heats up and if there is insufficient coolant in your radiator to cool it down your engine could produce a rich air/fuel mixture and that could hurt your emission ratings. The ECU would save you in most cases by increasing air flow but it is highly unlikely that your engine would be able to inhale too much air while being under a roof. In some states, you can get a mock inspection done for a small fee. This inspection will give you a good idea about your chances in the actual test. If the test shows you are failing, you can make the proper adjustments to come under the limit. This way nothing will be recorded officially and you will get a good analysis. Make it your habit to take care of your car on a regular basis. If you are cautious you would never have to worry about passing a smog test.